Remember the pottery scene from Ghost, where Molly Jensen and Sam Wheat are provocatively making a bowl or something? Well, here’s a bit of imagery that you probably didn’t ask for: Martha Stewart and Snoop Dogg getting all close in order to ice a cake. With the Righteous Brothers’ Unchained Melody playing in the background, Snoop, wearing a white T-shirt and a scarf to maintain his edges, approaches Martha from the back and gingerly slides close as he sits down while embracing her hands as she ices her chocolate cake. Snoop then gingerly kisses Stewart’s finger to taste the chocolate remnants of their love. Martha, you in danger, girl. 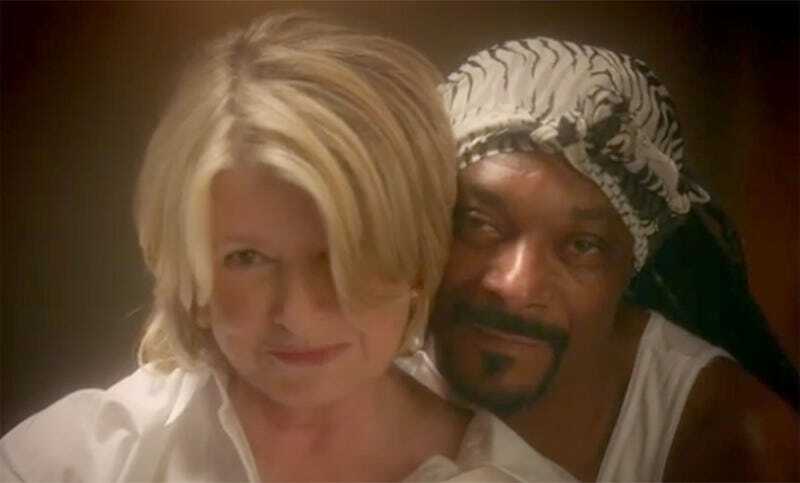 Season 2 of Martha & Snoop’s Potluck Dinner Party premieres this fall on VH1.